Spiders & Cider 2017 - Oct 27 Volunteers needed now! Garden News - Volunteers needed now! Steppers - Starting Nov 3 Volunteers needed now! 5. Coffee and bagels are provided. 4. Meet, greet, and get involved with other parents. 3. Get the inside scoop on school business from Principal Davidson. 2. Vote on how your donations to the FFO are spent. 1. The meeting MUST end by 9:15 a.m.! See you Friday, October 20 at 8:05 a.m. in the library! Can’t attend? Read minutes from past meetings and announcements on new activities on our website: sunriseffo.org. Note: We respect your privacy and hope you welcome this monthly email. If not, please accept our apologies and kindly use the unsubscribe link at the bottom or contact our communication volunteer, Tim Colson, with any questions! The FFO organizes, operates, and communicates to all families and faculty the many Sunrise, CFSD, and community programs and events. We also generate funding to support the vibrant learning environment and our programs and events. We record all Meeting Agendas & Minutes online for public review. Next general meeting is Friday, October 20 at 8:05 a.m. The FFO grants program presents an important opportunity for staff and parents to work together to benefit the entire Sunrise community. By using FFO funds, we can expand Sunrise’s ability to meet specific educational needs of our children by paying for field trips, artists-in-residence, guest authors, the Sunrise Garden, and numerous other special programs for our students. Teachers, staff, family members and students may submit grant proposals to the Grants Chair who presents them to the FFO executive board for review. Exec-approved proposals are brought to the General FFO Meetings for discussion and a deciding vote. There were no grants in September. For more information, go to sunriseffo.org/grants or contact us at grants@sunriseffo.org! For me, Sunrise is a warm home! "I am from Wuhan, China. I started my teaching career in 1994. I have a bachelor's degree in music education from Xinghai Conservatory of Music in Guangzhou, China. I have directed the children's choir and a Chinese speech training program for 10 years and hosted a music appreciation broadcasting program. In 2006, I taught music and Chinese Performing Arts in Budapest, Hungary for 2 years, and then in Connecticut for 2 years. I got my master's degree in Music Education from Texas Tech University emphasizing in choral conducting and Kodaly music teaching method along with a Post-Baccalaureate Teaching Certificate in Music. We moved to Tucson in 2015, and I taught AP Mandarin at a charter school. I am the worst cook in the world. The first thing I am planning to learn when I retire would be learning how to cook. My daughter, Celine and I always wanted a dog. We are trying to figure that out with long days at school!" Visit the Chinese Immersion Resource Page at sunriseffo.org/chinese for updated information and volunteer opportunities. Thanks to Jenny Dessent for keeping the page updated for our families! A gigantic thank you to all of you who volunteer for our kids & their school! What you give is truly appreciated and our school would not be the same without your help! You may have noticed some signups are still in SignUpGenius, but others are in MySchoolAnywhere (MSA). The transition to MySchoolAnywhere is happening now, and all new signups should be created in MySchoolAnywhere - making one place for everyone to go. Look for new Robotics sessions soon! Are you a parent or teacher ready to create a new signup? Start by emailing me, the Sunrise FFO Volunteer Coordinator, and I’ll share a quick video and a simple 3-step guide to get you off and running! It’s easy! Want to signup to volunteer? Spiders & Cider - Volunteers needed! 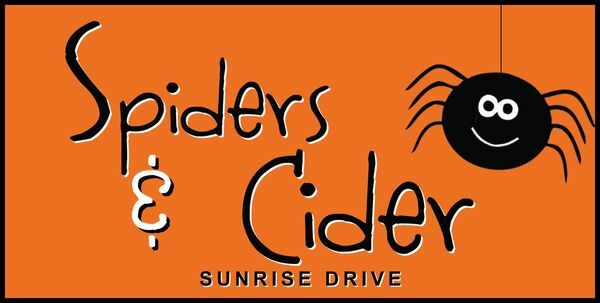 When: Friday, October 27, 5-8 p.m.
Every fall, the Sunrise FFO puts on the Spiders & Cider community festival to celebrate the season. It is fun for the whole family - come enjoy carnival games, face painters, balloon twisters, raffle, maze, cake walk, Photo Booth, DJ and you can wear your Halloween costumes. Visit sunriseffo.org/spiders to buy tickets online (no extra fee & faster entry!!! ), sign up to volunteer, and learn more about the event. Please consider dropping off a candy donation in the office or baked goods for cake walk. Entry forms for the maze design contest are available on the the Spiders event web page (see above) and in the office. Student entries are due October 23 by 3:00 p.m. The winning maze will be built for all to enjoy! 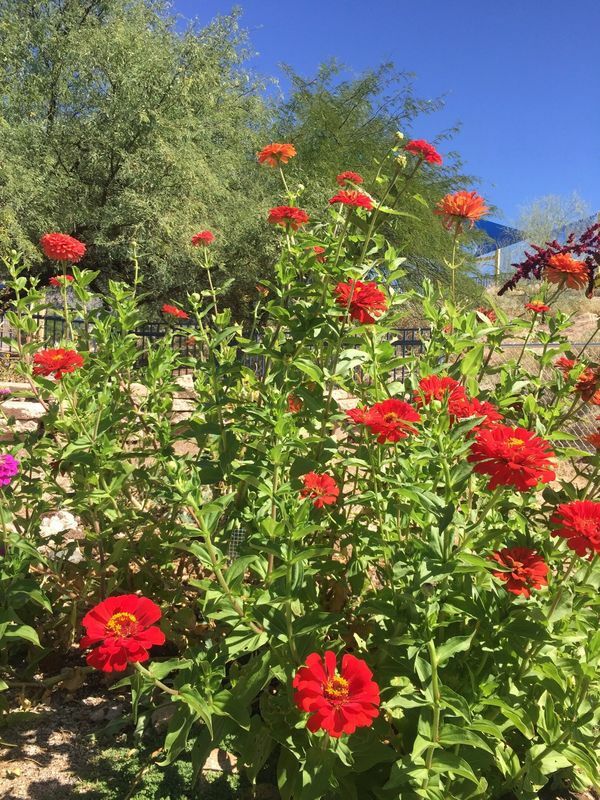 Garden News - Volunteers needed! Garden Clean Up Day was a huge success! We had a great turnout of families and community gardeners willing to put in some serious hard work. We completed the task in record time! The garden looks beautiful and is ready to go for fall planting. Thank you to the Turners, Colsons, Novaks, Kuhlmans, Lis, Richmans, Franklins, McClures, Teeples, Hartshornes, Jacobs, Mallinos, Murchalls, Uzumbas, Dessents, Berks and the many other teachers, families and community gardeners that gave up their relaxing Saturday morning for the benefit of the school. Our garden needs your help, so please sign up to volunteer. We are still looking for volunteers to help with classroom gardening. Planting is scheduled to begin next week so you are not too late! The gardens need continued care throughout the growing season. The more parents each teacher has to lean on, the less work any individual has to put in. Please contact your child’s teacher if you would like to get involved. Ongoing opportunities for helping in the garden are Garden Club (Wednesdays 11:40 a.m. - 1:00 p.m.) and Watering Crew (10 minutes during drop off or pickup). Contact Emily Franklin or Shirley Harvey with any questions. We provide garden orientations to anyone wanting more information! Does your child have a talent they'd love to share with their family and friends? If so, please sign up for the Annual Sunrise Drive Talent Show on Friday, November 17 from 6:00-8:00 p.m. (length depends on number of performers). Auditions are Thursday, October 19 from 1:45-4:30 p.m. and Friday, October 20 from 3:30-5:30 p.m. Performances must be three minutes maximum. Don’t worry, the auditions are low-pressure and intended to help the show organizers pace and time the show. If your child auditions, they will be in the show. CARE staff has escorted children to their auditions in the past, but please coordinate with them directly. Audition and volunteer signups are at sunriseffo.org/volunteer. Sunrise Drive is a Box Tops school. You can find Box Tops coupons on hundreds of General Mills items that you likely already purchase and use daily. For more information, including a list of participating products, go to http://BTFE.com. Each coupon is worth 10 cents to our school! 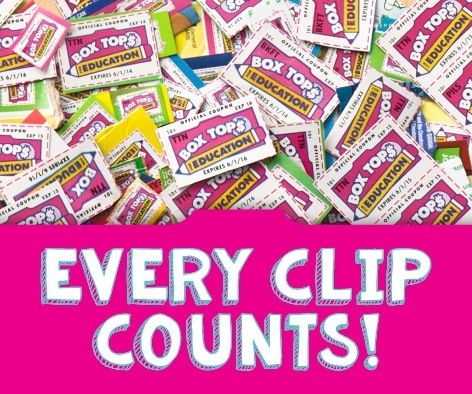 Our first collection of Box Tops is approaching on October 20. Please help your child’s teacher and submit as many Box Tops as you can. Ask your friends, neighbors and coworkers for their Box Tops. It’s an easy way to help your child’s teacher and classroom. New this year will be a Box Tops Trophy! The trophy will be presented to the classroom with the most Box Tops submitted for the Fall and Spring. Our Steppers program will kick off on Friday, November 3 during lunch recess on the big field. The students are very excited! This is a walking/running program that all students can participate in during their lunch recess. Each student has their own running card and every time they complete one lap around the big field, they get their card scanned. This keeps track of how many laps/miles they run throughout our Steppers season. Six laps equals one mile. Steppers will happen every Friday from November 3 to February 16. Helping with Steppers is easy and a great way to enjoy time with students and the other volunteers in the cool, fresh outdoors. We need help scanning cards so please signup to join us for fun in the sun for a run on Stepper Fridays! P.S. We need to cut, crimp eyelets, trim corners, and attach over 600 scan-badges to lanyards. Please email me if you are interested in pitching in at our assembly party! Many hands make light work! See the full school calendar at sunriseffo.org/calendar.